Six months after the Twin Towers fell, and we remember the 343 firefighter that lost their lives, two blue beams of light illuminated the skyline of Manhattan is remembrance of those who were lost. 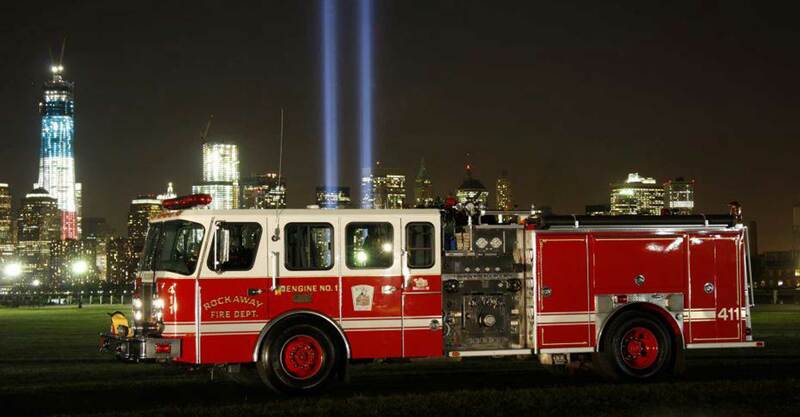 Annually on September 11 a commemoration know as Tribute in Light adorns the New York City Skyline. The Tribute in Light first debuted on March 11, 2002 in a vacant lot across from Ground Zero on West Street. Now, the high-powered lights which are assembled into two 48 foot squares are illuminated from the roof of a lower Manhattan parking garage, a distant echo of the mighty towers. The 7,000 watt beams reach four miles into the sky and are the most powerful shafts of light ever projected from Earth. On a clear night, the Tribute in Light has an approximate 60 mile radius of visibility. The Tribute in Light serves as a memorial to the 2,983 people who lost their lives when the two 110 story buildings fell. The lights trigger an emotional flood of feelings and memories but it is also a symbol of survival, heeling and honor.